Our dogs have been a bit rambunctious of late and have been playing tug of war with their toys. Naughty doggies! We bought them some tough organic cotton eco-toys to play with for Christmas, this one stuffed with recycled fleece made from PET bottles. Inevitably, with enough tugging, the fabric tears. So what to do? Well it was off to Kim’s Dolls Hospital for repairs. 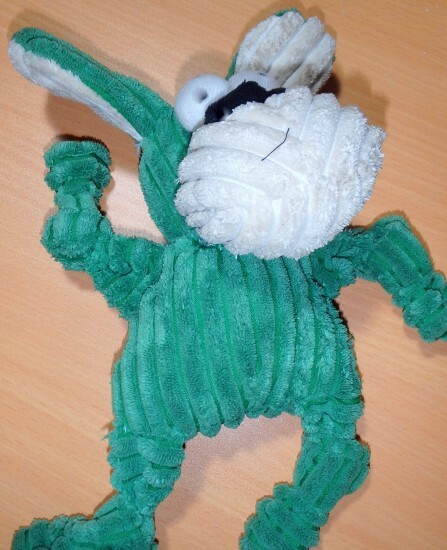 Dog toy as good as new! Kim learnt to sew back in High School and hasn’t forgotten how to throw a few stitches around. 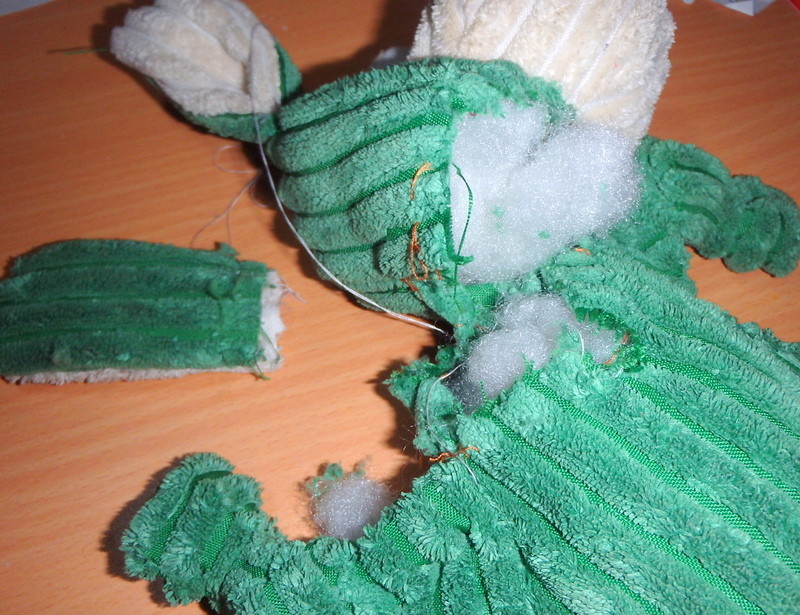 She fixed up this toy, repaired the hole in the neck, and fastened the ear back on. It only took her about 10 minutes and in that time she also repaired another toy in the same sorry state of affairs as this one. Out of curiosity, I asked my daughter Amy (a High School teacher) if the kids learnt to sew theses days. She said that it was an elective at her school, so that is encouraging. It would be sad for these very simple skills to be lost to the consumer culture. By the way, I can also sew. I was taught in the Navy out of necessity more than anything else, because when at sea there is no one else to sew a button or a patch on for you. Each Sailor was issued with a housewife (what we called a sewing kit) and you soon learnt how to use it or get a dreaded Kit Muster (lay out your entire issued kit on a blanket in straight rows) if you turned up on parade with a missing button or ripped trousers etc. The simple skill of sewing by hand is something that I believe should be passed on to our kids, so next time Ben loses a button Kim and I will teach him how to sew. Anyway, getting back to the story. Both our dogs watched Kim intently as she repaired both their toys. They sat patiently for the entire time it took to sew the limbs back on. You can imagine their delight when Kim gave them back their toys. 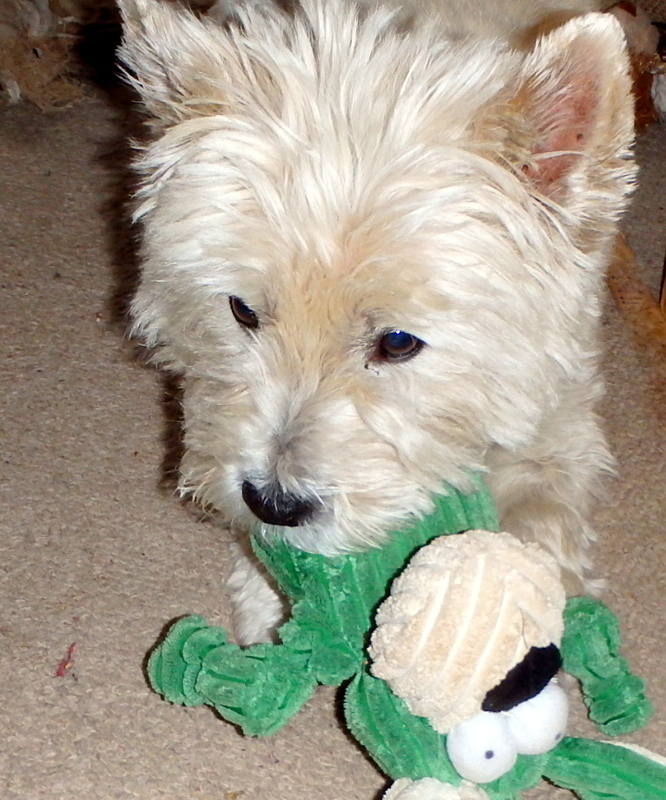 Teddy loving his repaired toy! Well done to Kim for opening up the Dolls Hospital and taking the time to repair the dog’s toys. That should last them another few months of tug of war! Have any of you passed on hand sewing skills to your kids, or recently been taught by a family relative? It would be interesting to know how many still know how to sew and teach others the art of sewing. Chime in with a comment to add to the conversation. Hands up those of you who knew I wrote sustainable living eBooks? Not many I reckon, and I believe I know why. Because it wasn’t very visible on the blog or the web for that matter. It wasn’t search friendly or easy to find via google either. Well to fix that, I created a subdomain of this blog called shop.greeningofgavin.com, that looks pretty much the same as this blog except that it is cut down a bit to improve e-commerce functionality. Over the last couple of days, I’ve been busy in the back-end tweaking (not twerking) the site to improve the look and feel and to list the eBooks that I’ve written over the last three years. The new Shop @ Greening of Gavin is powered by Woocommerce if anyone is interested, which I am now quite proficient in due to working daily on our workshop store. I have also been researching other environmentally friendly products that I use to see if I can source and ship them potential customers. I will see how it pans out, but for now you can buy and download the sustainable living eBooks. Also in the last week I moved all my hosting back to Australia (was in Salt Lake City, Utah) due to a massive DDOS attack that company was having for over 3 weeks. It was also the main reason I haven’t written much because the site was very unstable and it was difficult to gain admin access or even take a backup. So now my blog is located in a Data Centre here in Melbourne, Australia, hosted by VentraIP. We have had a good experience with this IT service with Little Green Workshops for over a year, with about 2 minutes downtime which I think is acceptable. This is one of the reasons I moved hosts (as well as the DDOS attack). Another reason was that I could offset my carbon emissions for the electricity consumed by the servers in the Data Centre. I paid for certified carbon offsets for this blog, Shop @ Greening of Gavin and Little Green Cheese which makes me feel a lot better. Even though all the power I consume here at home is either Solar or GreenPower which powers all my IT infrastructure here, my old hosting was not so green. Now it is! Current ideas are simple irrigation and water harvesting, gardening, a second cheese making book volume, composting and worm farming to name a few. To help get the creative juices flowing, what topics would you like to see me cover in the next series of books. Let me know via comment and I will add them to my brainstorming list! Any ideas graciously accepted. So until I get some more words on the page, checkout my new eBookstore to see what topics I’ve already written about. I’ve been in a cheese frenzy over the last week or so and it’s been so much fun! On and off, I’ve made 7 cheeses in 5 days in my home kitchen. Some have been easy, others hard, and I even had what I am classing as a failure. Let’s go through the list shall we? Kim asked for a cheese with a bit of kick that was ready to eat in a couple of days. I chose to do a chilli infused version of my Queso Fresco because we all like the flavour of this fresh cheese and it was ready to eat straight out of the cheese press. It tasted amazing the first day, but it was even better after two days in an airtight container in the fridge. The chilli flavours permeated the entire cheese. A fresh yet spicy hot aftertaste. I was on a winner, so I created a video tutorial for those of you who wish to recreate this amazing cheese. 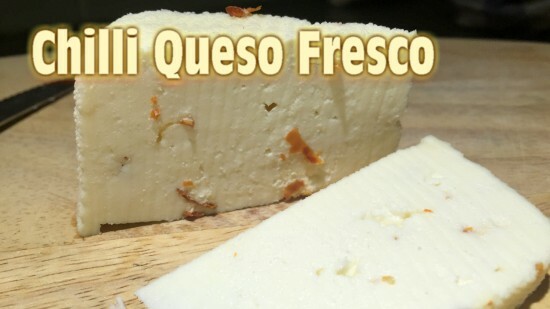 You can view the Chilli Queso Fresco video here. 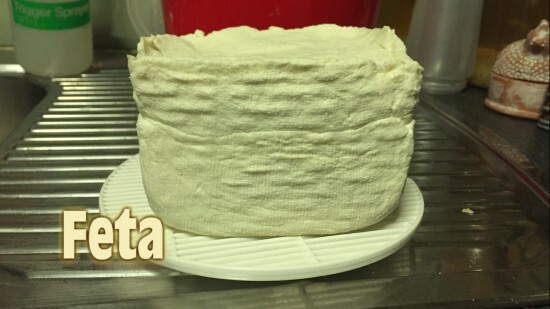 I’ve often wanted to make this cheese but I couldn’t find an authentic recipe. Thankfully I have lots of work colleagues of Indian descent, so asked around and found a great recipe for this easy to make cheese. 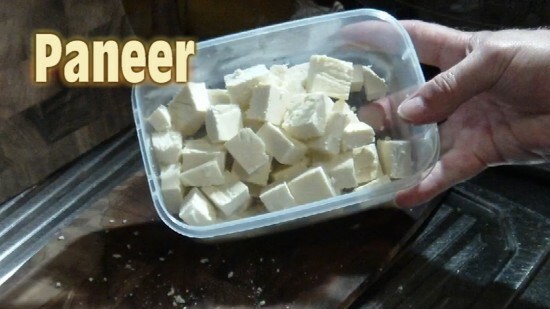 With only 3 ingredients (Milk, Yoghurt, and Lemon Juice) Paneer can be made in less than 90 minutes. I did intend on making a vegetarian curry with this cheese, but it’s been such a big hit with Ben who is eating it by the handful from the fridge. Don’t think this batch will make into a meal! You can find the video for Paneer here. 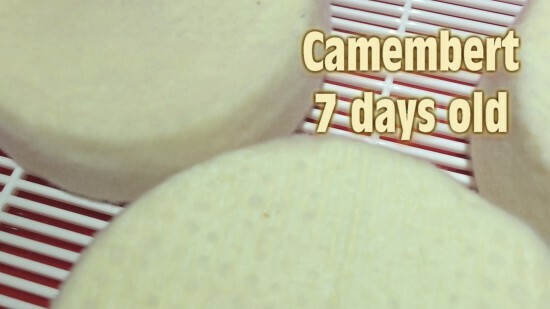 Not quite ready yet, this Camembert is growing mould in its maturation box in the cheese fridge. It takes about 14 days for the mould to fully develop, so I will be wrapping it in cheese paper next Wednesday. I am filming the entire process from milk to cheese board, so it will take some time before it is released. 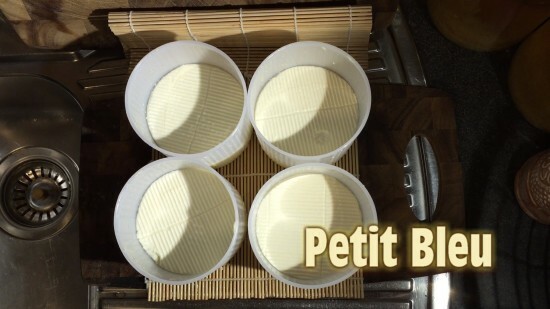 In the meantime, here is an older Camembert video tutorial so you get the feel for the process. I’ve modified the recipe slightly using a different starter culture, but it is basically the same. Because there was at least 6 litres of whey left over from the Queso Fresco and Camembert combined, I decided not to waste it. The easiest thing to make was Whey Ricotta! It’s such a simple process. Heat the milk to 92°C, then add ¼ cup of apple cider vinegar to curdle, then drain, add salt to taste, then eat or use in your favourite Ricotta recipe. 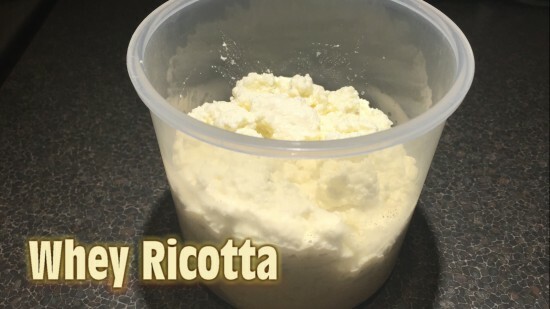 Here’s a Whey Ricotta video tutorial that you can use to make this cheese. This was my only challenging cheese. I had never made Provolone before and it wasn’t as easy as I thought it would be. I was missing one important piece of equipment for this cheese. It was a method on how to read the pH of the whey during the process. As the pH level of the cheese reaches 5.2, you can stretch the cheese and form it into the tradition tube or ball shape. Well, I waited and waited and the stretchiness never happened so I decided to press the curd that I had. After a couple of hours in brine, I then air-dried and vac packed. I am going to mature it for two months to see what happens, but in the meantime will purchase some pH paper so I can make another batch. No video for this cheese as I haven’t perfected it yet. We had the kids over for a BBQ and Kim wanted to make a Greek Salad, so I just had to make some Feta. 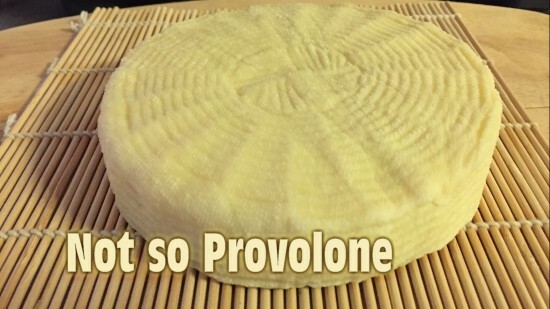 This cheese is ready to eat in a couple of days and is simple to make. It only needs 20 minutes of curd stirring then into the mould. To make this cheese check out the Feta video tutorial. This Blue cheese is of my own creation. I was never happy with the recipes I had in books so I cobbled together the best of all processes and made my own. This will be a small blue cheese that will have an affinage of 8 weeks. These blues are still in their moulds and I will salt them further this afternoon then air dry for 2 days. Then I will pierce about 15 holes in each one to allow the blue veins to develop and seal them in their maturation boxes and into the cheese fridge. Once the Petit Bleu is mature, I will wrap in cheese paper and store in the kitchen fridge. If all goes well, a video tutorial will be available. I have one last day before I go back to work and still have 4 litres of bio-dynamic milk in the fridge just waiting to be turned into cheese. So I am scouring my cheese books for a new challenge. It will be a surprise for us all! If you want to check out all of my video tutorials check out my Cheese Making Playlist over on YouTube. 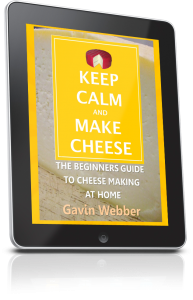 They are quite popular with home cheese makers and I am pleased to mention that the YouTube Channel just past 8000 subscribers yesterday! I am truly a Curd Nerd! But I suppose given enough time, anyone can make 7 cheeses in 5 days! What’s your favourite cheese? I might just have a recipe for it or at least add it to my list to research.